Burnley’s teenage winger Dwight McNeil has signed a new long-term contract. The 19-year-old has agreed terms on a new deal, taking him through to the summer of 2023, with a one-year option. The deal rounds off a remarkable few months for the Rochdale-born youngster, who only signed his first professional contract at Turf Moor last April. 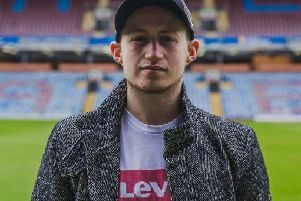 McNeil made his senior debut as a substitute on the final day of last season against Bournemouth, and has quickly developed into a key member of Sean Dyche’s senior squad, starting the last five games. “A lot has happened in a short space of time and I’m happy to have signed a new deal,” said McNeil. McNeil joined the Clarets’ youth set-up in 2014 after leaving Manchester United.